Google may get the green light this week for its proposed 50-acre development in downtown San Jose, but not before opponents of the project are heard. The city is expected to finalize a key agreement Tuesday, but before that moment, some opponents on Monday are set to embark on a three-day hunger strike. Housing advocates have been asking the city what the development would mean for housing in a city already struggling with homelessness. The tech giant's development site is proposed to go up near Diridon Station and the SAP Center. Google's plan could bring more than 25,000 new jobs to San Jose. In addition to Google work space, there's a plan for retail and hotel space as well as residential units. 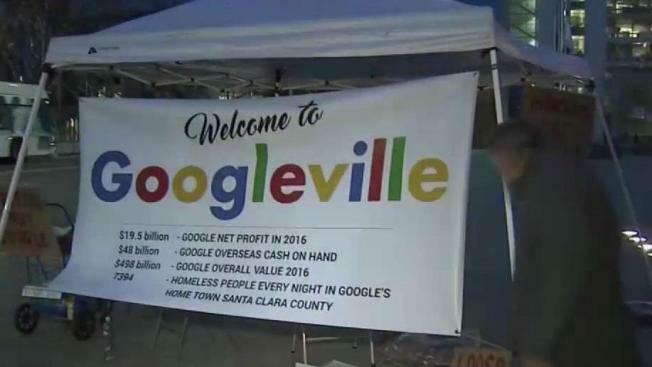 The San Jose City Council on Tuesday is expected to finalize a memorandum of understanding, which includes the sale of land to Google. Housing advocates say the city should use that land to create more affordable housing and housing for the homeless.